Hold down the option key as the program loads. Holding down shift, option, open apple whilst firing the catapult will ensure a hit. Holding down shift, option, open apple whilst a princess' name is displayed will change it. Holding down shift, option, open apple whilst gathering info on other lords will change the lord's name to Sir Ivan Manley (the IIgs programmer). 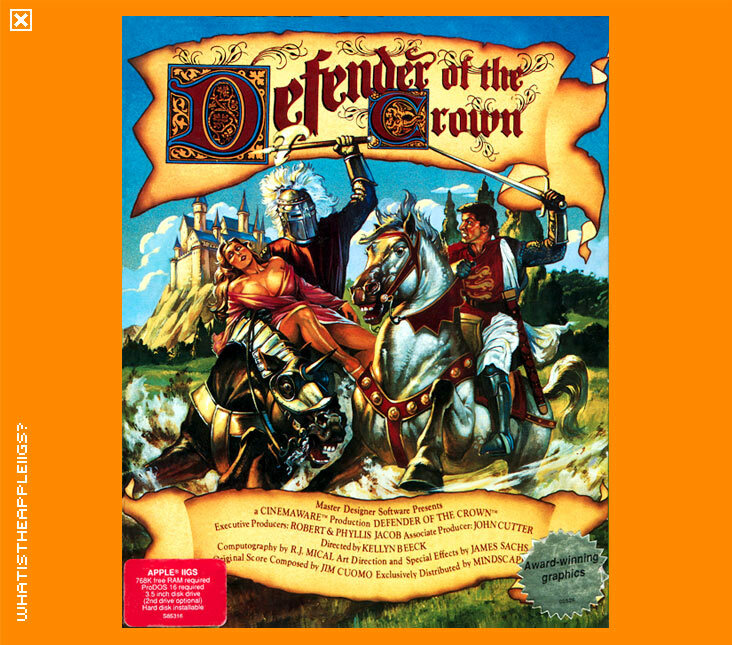 I love Cinemaware games, but Defender of the Crown has always left me thinking it's my least favourite Cinemaware venture, which is quite possibly considered blasphemy among Cinemaware admirers. DOTC involves the player as a Saxon of his or her choice (choose between four, each with their own strengths and weaknesses) to put a stop to Norman Conquest after the assassination of the king, who left no heir to inherit the throne. To beat the Norman invaders, you've got to round up your resources to build an army of footmen, knights and catapults, seek the conquest of neighbouring territories, raid enemy castles for booty and joust at events to improve your prestige. Robin Hood, of Sherwood forest fame, can help you on no more than three separate occasions, so go and see him if you think the battle ahead is going to be tough. 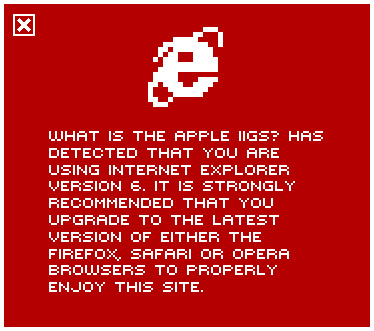 The game is played entirely with the mouse, from commanding your resources to raiding castles and jousting opponents. This is one aspect of the game that I feel let it down, as the action sequences are rather shallow (raiding the castle seems only to require clicking the mouse as fast as you can and jousting requires that you simply point your lance at a part of the enemy's body you think vulnerable). The game also seems to proceed at a rate beginners might find dizzying. Before you know it, there's suddenly no land except that which must be fought for and against armies which are bigger than yours and you still haven't had time to master the arcade sequences to make up for your losing strategy tactics. Still, it will leave you plenty of time to master the game and a good game should do just that; involve you, make you play the game more and more until a point is reached when you've mastered it. And have fun along the way. This copy of Defender of the Crown includes a crack which only works if low level disk access (IWM emulation) is on, otherwise the game will ask for the original disk one. Load the game with both images mounted, and when the game asks you for Reel Two, eject the first disk and then continue. It is now however hard drive installable, an improvement on the previous version held within the archive.